Adilifu Nama is Associate Professor of African American Studies at Loyola Marymount University. He is the author of the award-winning books Super Black: American Pop Culture and Black Superheroes and Black Space: Imagining Race in Science Fiction Film. Known for their violence and prolific profanity, including free use of the n-word, the films of Quentin Tarantino, like the director himself, chronically blurt out in polite company what is extremely problematic even when deliberated in private. Consequently, there is an uncomfortable and often awkward frankness associated with virtually all of Tarantino's films, particularly when it comes to race and blackness. Yet beyond the debate over whether Tarantino is or is not racist is the fact that his films effectively articulate racial anxieties circulating in American society as they engage longstanding racial discourses and hint at emerging trends. 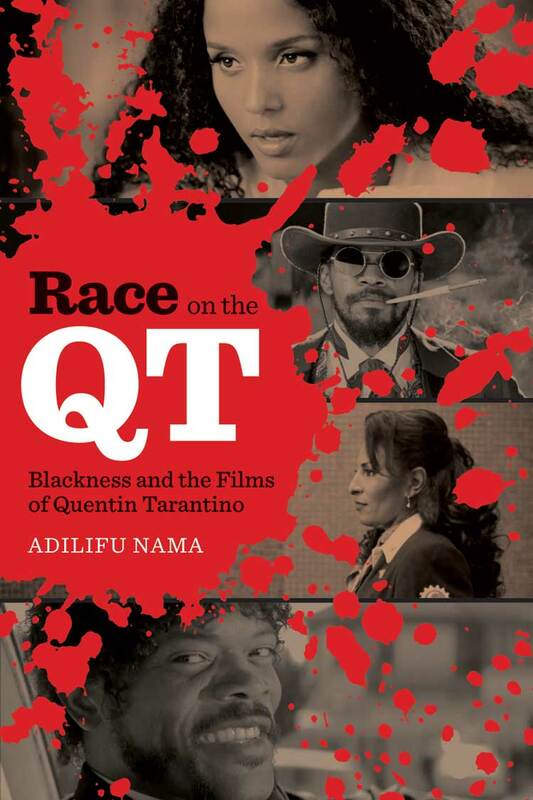 This radical racial politics—always present in Tarantino's films but kept very much on the quiet—is the subject of Race on the QT. Adilifu Nama concisely deconstructs and reassembles the racial dynamics woven into Reservoir Dogs, True Romance, Pulp Fiction, Jackie Brown, Kill Bill: Vol. 1, Kill Bill: Vol. 2, Death Proof, Inglourious Basterds, and Django Unchained, as they relate to historical and current racial issues in America. Nama's eclectic fusion of cultural criticism and film analysis looks beyond the director's personal racial attitudes and focuses on what Tarantino's filmic body of work has said and is saying about race in America symbolically, metaphorically, literally, impolitely, cynically, sarcastically, crudely, controversially, and brilliantly.